The coolest badge in motoring (it’s a carburettor and crankshaft, in case you were wondering) will return next week as Alpina launches the new B4 S Bi-Turbo at the London Motor Show. Previewed last month in Geneva, the Alpina B4 S Bi-Turbo – yes, it’s a little bit of a mouthful – is the famed BMW tuner’s discreet alternative to the BMW M4 that, despite the understated aesthetic, packs 440hp and a 0-60mph sprint time of 3.9 seconds. 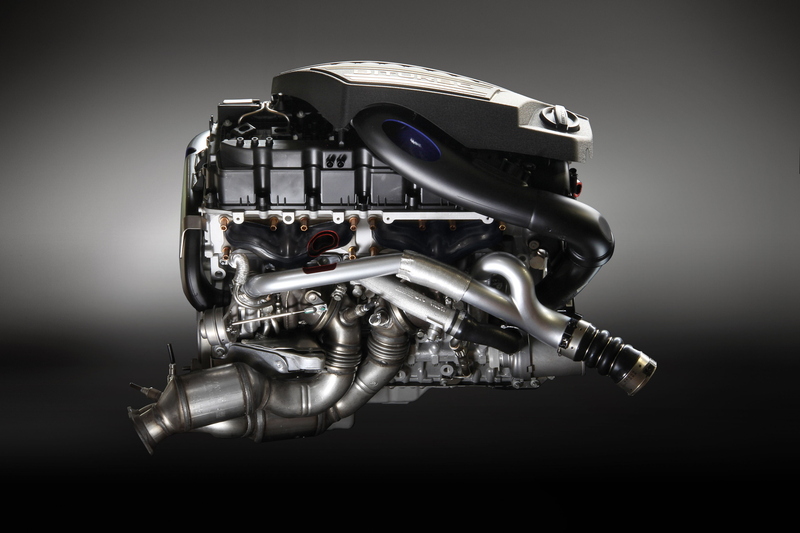 Based on the latest 4-Series, Alpina has left no nut or bolt unfettled to create the new B4 S Bi-Turbo, with special attention turned to the 3.0-litre BMW straight six. The crankcase has been strengthened (as has the crankshaft) and there’s a bespoke aluminium block while the big news is the addition of an extra turbocharger. This helps to provide an enormous amount of shove – 6000Nm – from just 2,000rpm all the way to 5,000rpm. Helping to keep it all on the road, the Alpina B4 S Bi-Turbo gets adjustable variable dampers, stiffer anti-roll bars and a bespoke geometry setup. 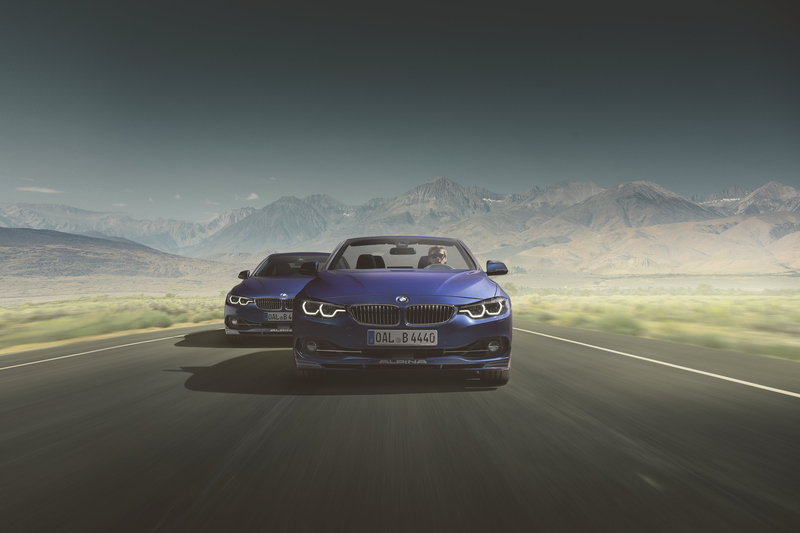 Alpina has also recalibrated the Dynamic Stability Control and Traction Control systems “to optimise the entire car as a unified driving system,” according to Andreas Bovensiepen, CEO of the German tuner. A Brembo brake system – with the calipers painted in Alpina Blue – takes care of stopping duties, while the 3.0-litre twin turbo engine’s power is put down on the tarmac via an eight-speed automatic gearbox. 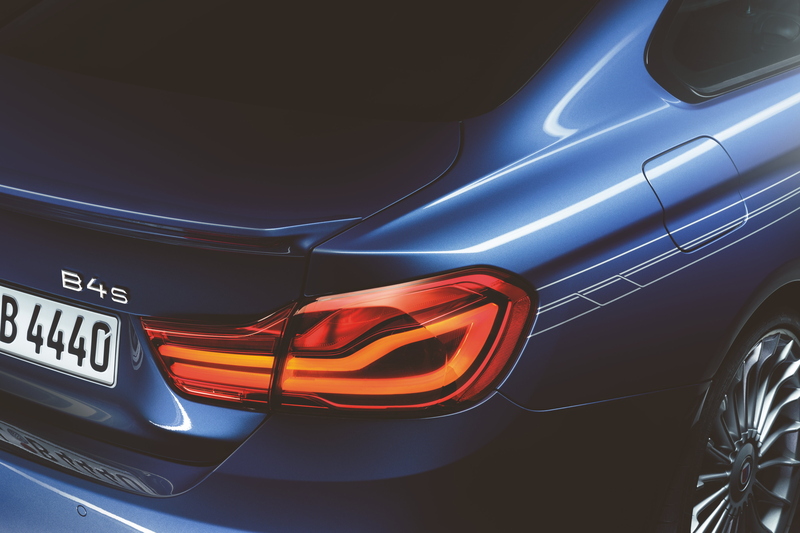 Aerodynamically, the Alpina B4 S Bi-Turbo gets a new front chin spoiler and rear apron while aesthetically there are a number of stereotypically ‘Alpine’ touches, including the multi-spoke 20-inch alloys. With a total of just 1,700 cars built each year, there are also a number of bespoke styling touches available from Alpina, allowing you to personalise your B4 S Bi-Turbo to your heart’s content. The 190mph coupé isn’t quite as cheap as it’s M-badged BMW brother with a starting price of £63,000 however, it’s undeniably a much more exclusive way to blast up the autobahn. Could Kia's first foray into the gran turismo market be a true German giant-beater?